Why Do Dogs Rub Their Face Against the Floor? 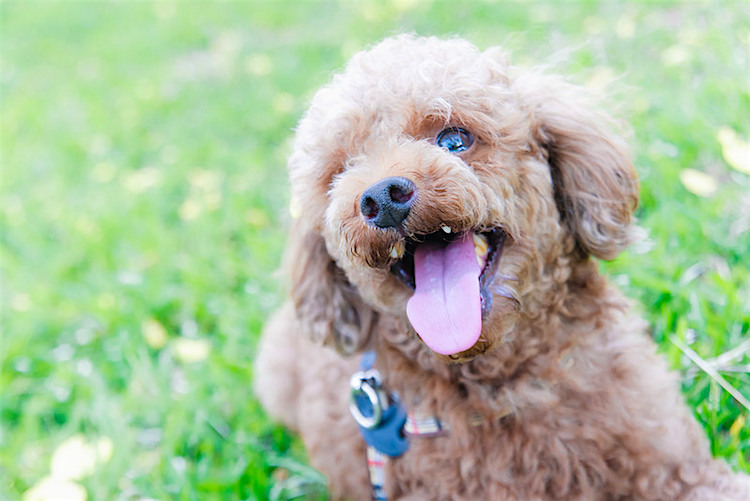 Dogs may do this if they have allergies or are teething. One of the perks of being a vet is getting to cuddle puppies and kittens. I also love how people adore their pets. It’s heartwarming to see how concerned they are when something isn’t quite right. Indeed, this week’s post was inspired by 2 first-time pet caregivers and their cockapoo, who was cunningly disguised as a fluff ball. These clients were anxious to be seen because their dog was rubbing her face against the floor. They were worried she had something stuck in her mouth and, rather than see her in discomfort, rushed her straight down. Happily, this 18-week-old pup was absolutely fine. A fuss and a cuddle helped ascertain she was bright as a shiny new coin and not overtly distressed. Indeed, her ability to make treats disappear was heartening and considerably eased her humans’ concern about a blockage in her mouth. Lifting the dog’s lip, it was plain to see that the cause of the problem was teething. This little lady was in the process of shedding her milk teeth, which were being pushed out by the bigger adult teeth. One molar in particular was still partly attached to the gum, and it was this she was trying to dislodge by rubbing her face. In the interests of being thorough, I then checked her ear canals, which were clear. I wanted to be 110% certain there was nothing else causing her irritation, because rubbing a face is just a symptom and not a diagnosis in its own right. With this in mind, let’s take a look at other reasons why a dog might rub their face along the ground. Sticks or pieces of bone that get wedged between the teeth are surprisingly common sources of distress. Sometimes, they get caught between 2 neighboring teeth; other times, they lodge across the roof of the mouth. Other symptoms include difficulty eating and a bad smell from the mouth. 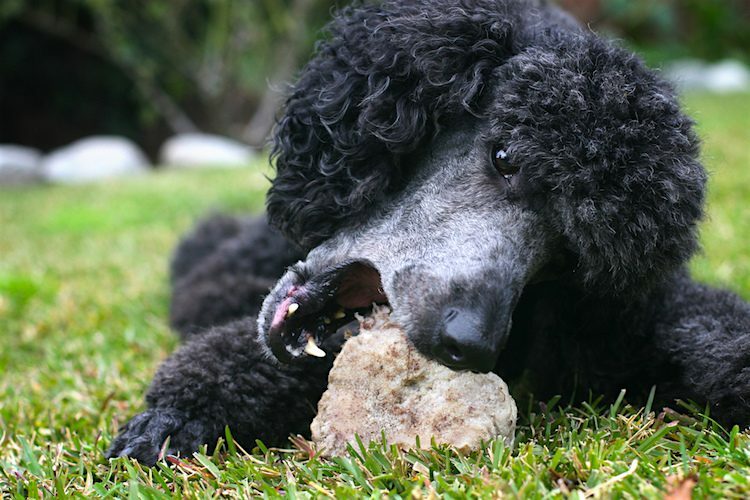 Sore gums are usually more of a long-term problem and affect how the dog eats rather than cause them to rub. However, a rotten or wobbly tooth that becomes lodged out of position can be extremely irritating. Some dogs will paw at their mouth in an effort to get rid of the offending tooth. Other signs include yelping when eating or even an inability to close the mouth because the wobbly tooth jams against another tooth in the opposite arcade. In dogs, allergies tend to manifest themselves as itchy skin rather than a runny nose. It’s often the face or paws that are worst affected. Indeed, the dog can derive considerable pleasure from scooting an itchy muzzle across the carpet. Allergies are often seasonal, reaching a peak in the summer. Also, look out for excessive licking, such as the tummy, armpits or paws. Indeed, many dogs with light-colored coats will have telltale signs of licking in that their fur is stained rust-colored. The ear canal in the dog is a long L-shaped structure. Anything that bothers the ear can manifest as the dog inserting a paw and scratching, or else scooting the head along the ground. Try checking your dog’s ears after every walk. Simply lift the ear flap and look for any signs of redness, inflammation or a discharge. Indeed, specifically after walks, be alert for foreign bodies, such as foxtails that have wormed their way into the ear canal. Infections usually cause a bad smell and a discharge, while foreign bodies can be difficult to spot. That’s because they often dart down deep into the ear canal and can only be seen with an otoscope. The word “flea” is enough to make anyone itchy. But, of course, fleas aren’t the only parasite. Fox (sarcoptic) mange, demodectic mange mites, lice and ticks can also cause significant itchiness — and aren’t always easy to see. Some mites burrow deep into the skin (demodex), or run away so quick they are tricky to see (sarcoptes), while lice require good eyesight or magnification to spot. Parasites are common. If your dog is itchy and hasn’t been treated regularly for fleas, that could be the explanation right there. It is wise to treat your pets for fleas regularly, especially over the summer months. And finally, if you are uncertain what’s wrong with your dog, always see a vet. Happily, this fluffy pup just needed a cuddle before being sent on her way, but not all cases are so straightforward. This pet health content was written by a veterinarian, Dr. Pippa Elliott, BVMS, MRCVS. It was last reviewed Aug. 4, 2017.